When you’re up against today’s breed of religious nutter, who’d want a job as a tactical cop in a firearms response team? Slotting an escaped bullock or a gun-wielding loner in a quiet country lane is one thing; dropping a knife crazed fanatic in a crowded city street, something entirely different. Places like London should be thankful that cops can turn out inside eight minutes to go into action, as happened with the London Bridge attack. It took 50 bullets to finish the job, which some say is rank poor marksmanship. I disagree. Given the packed surroundings, I’d say they chose their shots carefully. Only one bystander was wounded. But cities aside, how long would it take to get a tooled up team from, say, Newcastle or Carlisle to the Appleby Horse Fair in Cumbria. Or from Bristol to Glastonbury Festival. An eisteddfod in deepest Wales, maybe a remote Highlands Game. Or even The Game Fair in Hertfordshire? Not one Police Commissioner has yet to tell us. Have they even considered the possibility of rural communities becoming a target? With more terrorist attacks forecast, calls are growing to arm all police. Fair enough. If you live in a town or city where cops are a visible presence there’s probably some comfort to be had from seeing more guns on the street corner. 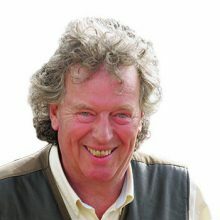 But what of the countryside where the only Bobby you pass sits hidden inside a camera van trying to knick speeding motorists on a remote moorland road? Unless police numbers are doubled, trebled, even quadrupled, and soon, maybe one answer is to look again at the iniquitous handgun ban in the UK and issue licensed side arms to vetted members of the public, gamekeepers, retired police officers and those from the armed forces. 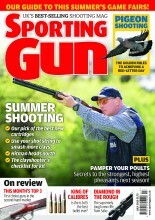 There are plenty of Sporting Gun readers who can be trusted too. I don’t know about you, but I would rest much easier knowing there might be folk around ready and kitted to go while I do my weekly shop in the local market every Friday, or enjoying a rare night in town at a restaurant, or folk concert. Come to think of it, I’d feel a lot safer carrying one too. Heaven forbid, but if the worst should happen, it might just save lives while waiting for the distant cavalry to arrive. Your thoughts on a postcard, please!